Time as you've never seen it before. That's a good way to describe how Arthur Oskar Stampfli's watches got to me when I saw them for the very first time. This interview is divided into two parts, so lets start. (Johan/TTF) - When I see your timepieces it feels like I want to go explore something/anything? Is this the feeling you'd like your buyers/collectors to experience? (Roland Stampfli/AOS) -Yes it is quite the intention. We really try to create a unique brand and we hope that potential buyers have the desire to discover every facet of our pieces. - There is still much work to do to make known the history of our brand. Of course, today we know the flagship models of the AOS brand such as: Black Pearl, Color Pearl and the 2021 Riders. - But we had fun making timepieces in ultra limited edition (7 or 20 maximum). At first it was to generate interest, but the impact was heavy so we decided to focus part of our work on this kind of timepiece. Its here that we decided that customization and extreme limited editions will be our ethos, our style our trademark. Moreover we like to create unique 1/1 watches and for example some watches with Art dial. - We have, I think a product that arouses passion and the satisfaction of owning a timepiece created in a limited edition. To be part of an exclusive club reserved to less than one hundred passionate enthusiasts in the world. Our watches go from 1 to 99 copies according to the specific model reference. - If we go further, now we try to offer unique time guards. Both in terms of design, dial, colors, and also in terms of time reading. I think all this variety, encourages collectors and enthusiasts, to explore our various collections. (Johan/TTF) - What inspires you when it comes to design? (Roland Stampfli/AOS) - I don't necessarily have a technique to imagine these watches. It's above all an idea at a moment. I'm faced with a blank page and I started to draw and write. - We have a few projects on the go and some of the current range and some of these pieces are still in the study or the state of design stage. 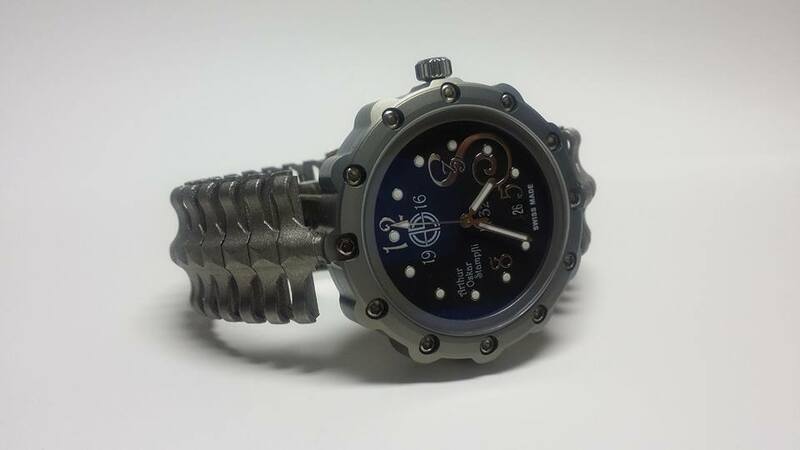 - To go further, the inspiration of my timepiece is directly related to adventurers. For the 1916 collection, for example, this is the navy, seabed and tribes. We have a particular piece inspired by the God Rarotonga. So yes these collections are in the adventurous spirit ... But also a little sport. Music and art are also very present in my creations. We have made some unique pieces with hand painted dials (By myself or by Australia artist Timothy John). - Also, the Skull bracelet model with its 3D printing is a tribute to HR Giger. - Finally, I am inspired by everything I love ... And begin to draw. 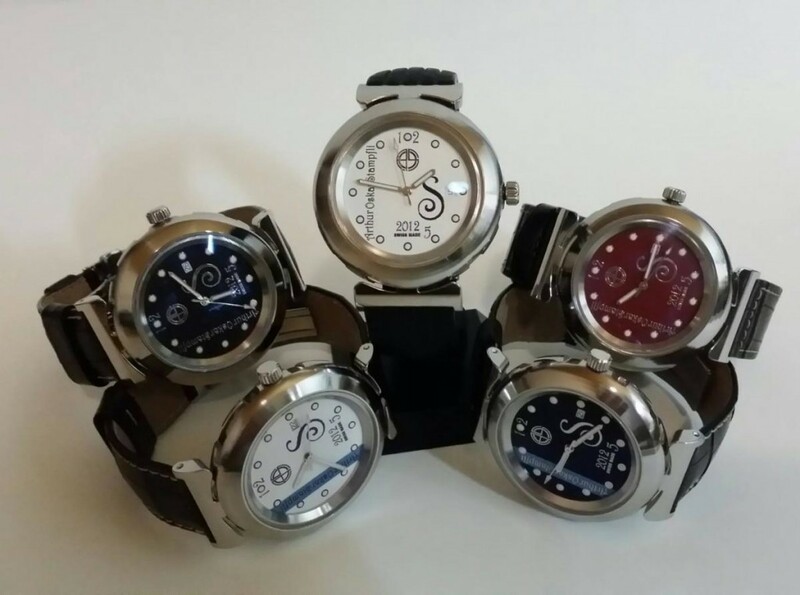 - Art is important in my approach, but the inspiration is to make custom watches and without constraint or other standards imposed by the industry. Realize what is not necessarily expected in a very codified watchmaking area. (Johan/TTF) - How is AOS received by watch enthusiasts(not only in scandinavia, but the rest of the world)? (Roland Stampfli/AOS) - It is quite complicated to say. At first we shocked everyone with our designs. Today we are well rooted in the watchmaking landscape and the feedbacks are very good. All people, collectors and journalists, who try our pieces, love them immediately. But we do not have enough physical visibility in watch stores to say exactly what the feeling about our brand is. 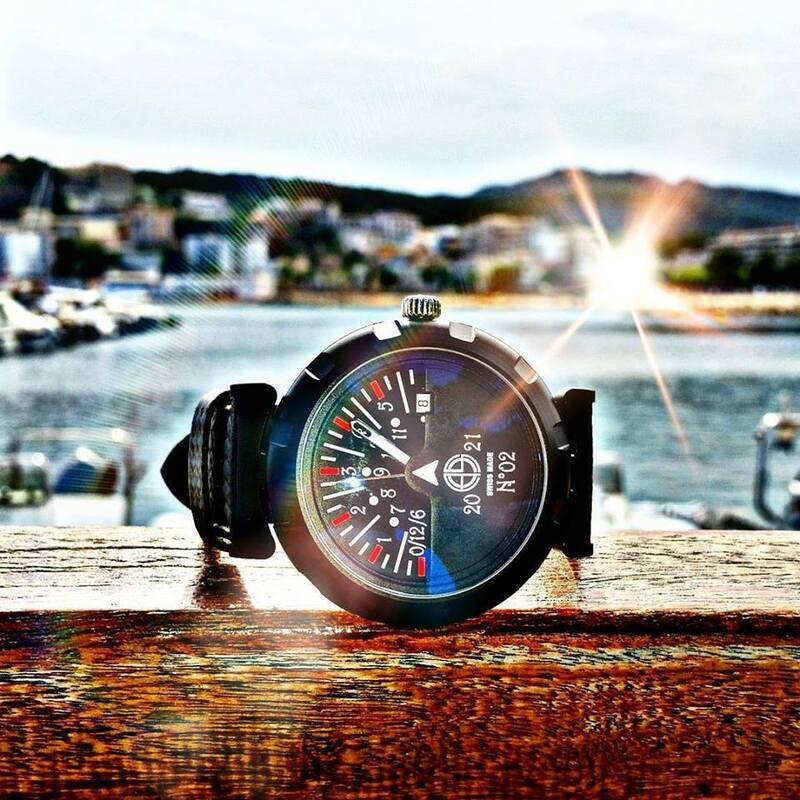 You have to see and try our watches to have a good opinion. When you see a picture on Internet you can think that they are big and heavy. But they're not. (Johan/TTF) - How important is social media for AOS? (Roland Stampfli/AOS) - Very important as it's our main communication platform. Being a small independent brand, we are often snubbed by magazines, and we don't have the budget to buy advertising. So Social Media, and firstly Facebook, is really important for us. 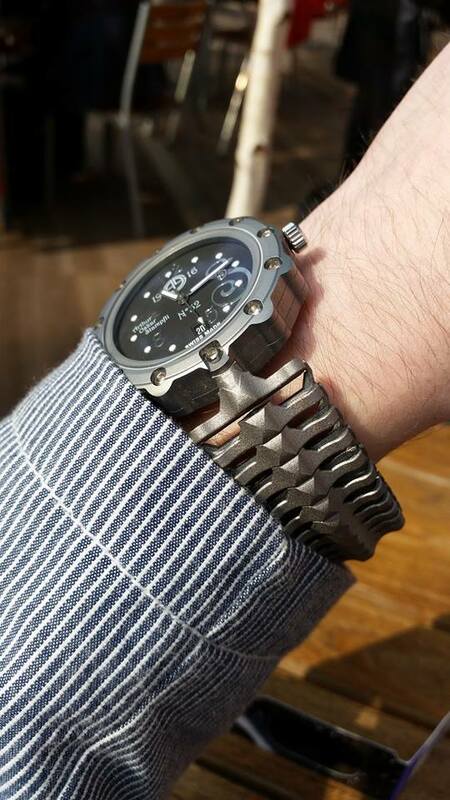 (Johan/TTF) - Are there any complications (or combination of complications) you prefer in your timepieces? (Roland Stampfli/AOS) - At the moment we don't have real complication in our watch. We play with the way of reading time, like on our 2021 Riders. But we currently work to finalize our own complicated movement that will be used in "The Wheels of Time". Also we have a project of creating a tourbillion that will be very fun. (Johan/TTF) What is your opinion on Quartz, Automatic or Manual Mechanical movements? (Roland Stampfli/AOS) -We only use mechanical movement. You know, a watch lives. And it can only lives with a mechanical movement (whether manual or automatic winding). (Johan/TTF) - Do you have any AOS anecdotes you´d like to share? (Roland Stampfli/AOS) -There are so many ... I think of the day we decided to launch the creation of "The wheels of time". We were with Jonathan Kopp, around a good fondue while enjoying a good wine from Cressier, and we thought we should create a crazy timepiece. From there, I took out old sketches and we started the work. We´ll continue the interview with Roland Stampfli on Thursday and amongst other things talk about the timepiece "Les Roues du Temps". 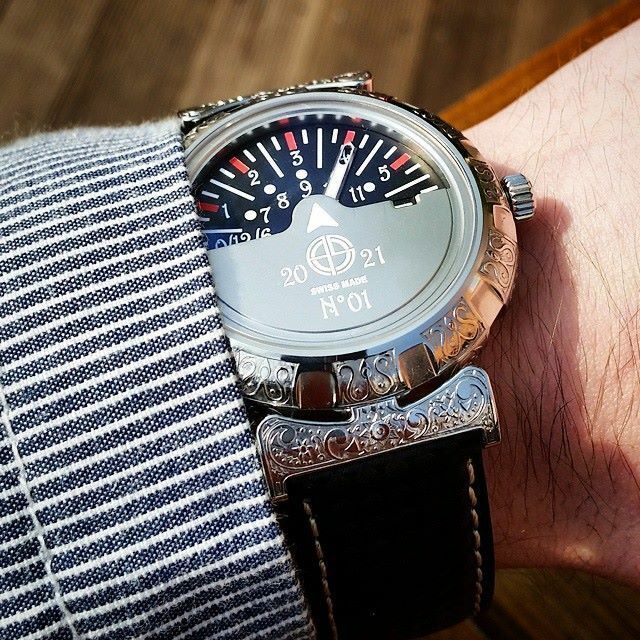 Until then you can follow AOS on AOS-Watches, and Facebook.